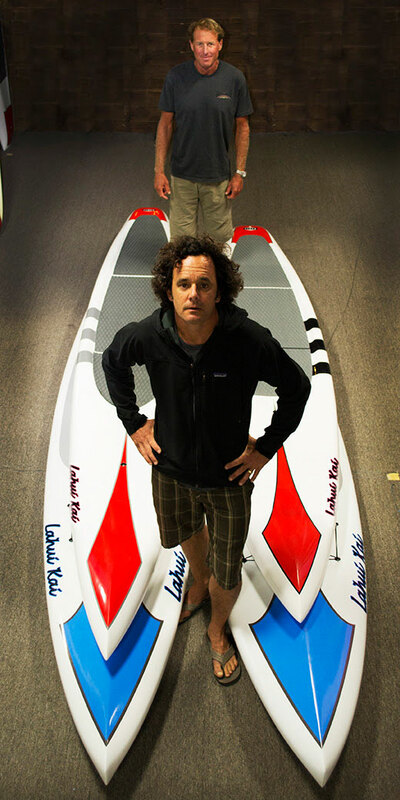 One of the most respected paddleboard shapers in the world, Brian Szymanski has joined the SUP ATX team to further develop their Lahui Kai race board range. California SUP pioneer John Becker joins the team along with Brian, in what is a fairly major coup for the brand. SUP ATX was originally known for mass producing all round SUP touring boards, however in the past year or two they’ve made a serious push towards SUP racing. SUP ATX bought the distribution rights to the boutique Lahui Kai brand in 2012 in order to fuel their move into the elite side of the sport. This move to hire Brian and John will be a major catalyst as they continue the push towards higher end production and more elite racing. Lahui Kai was started in Australia by Molokai 2 Oahu champion Mick Di Betta and its race team features the likes of elite internationals Kelly Margetts and Lincoln Dews. Mick will stay on as the official team coach, with Szymanski taking over as head shaper and Becker becoming the brand manager. Brian and John are both crossing over to SUP ATX from Starboard. Although he was always an independent shaper, Szymanski played a part in many of the iconic Starboard race board designs, while also making customs for their international team riders such as Annabel Anderson, Connor Baxter and Zane Schweitzer. 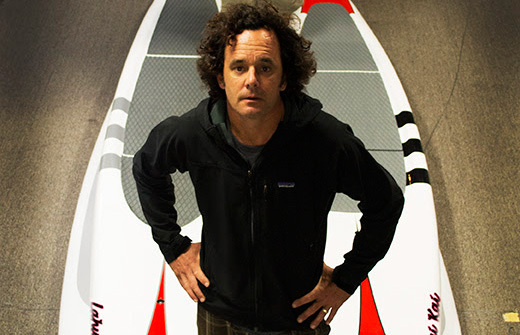 Though even before SUP came along, Brian was a well known paddleboard and surfboard shaper, creating designs for some of the best paddlers and surfers in the world, including guys like Rob Machado. So in short: This is a pretty darn good pickup for SUP ATX/Lahui Kai. Between Brian’s years of shaping knowledge and highly respected designs, as well as John’s in-depth knowledge of the industry, I’m sure the duo will elevate the Lahui Kai brand to a new level. According to the official release, the new high-end Lahui Kai boards will be unveiled at Outdoor Retailer next month (the annual industry expo/circus that’s held each August in Utah).